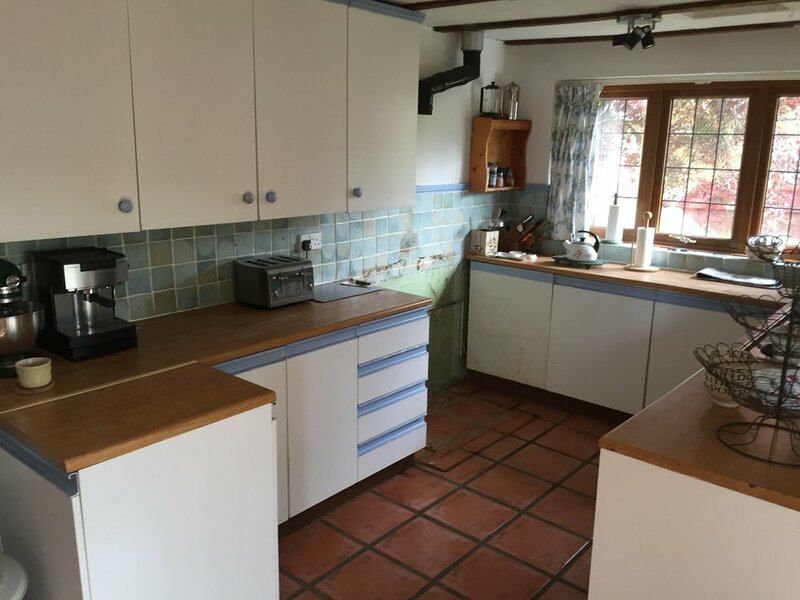 Kitchen design and build, including flooring, granite work surfaces and handmade cabinets units. Exterior view from rear garden, showcasing bespoke conservatory, patio area and landscaping. Drawing room area, with bespoke sandstone fireplace and handmade wooden panelling. 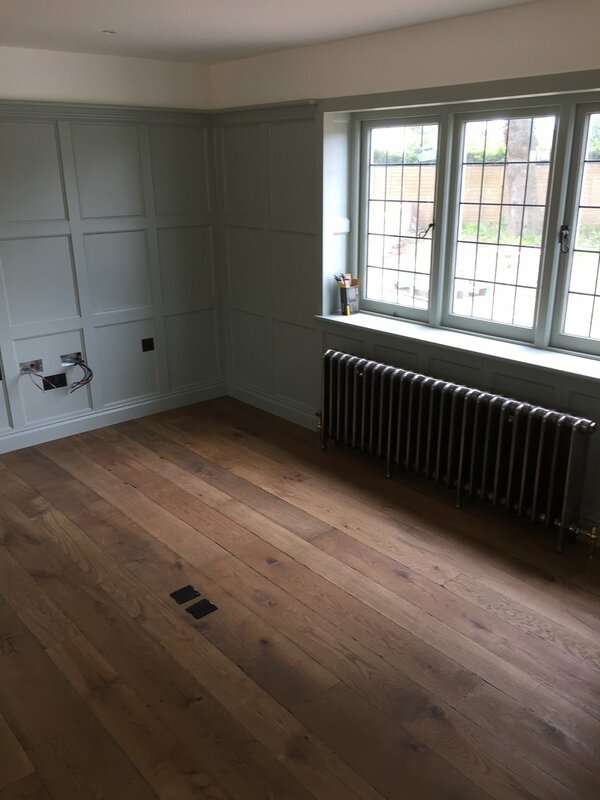 Full oak panelled walls in study area. Materials were carefully chosen to reflect the original style of the home. Drawing room opening into bespoke hardwood conservatory. Joiner made hardwood windows and cast iron guttering to give a truly period feel. Beautiful lead guttering around reworked eybrow. 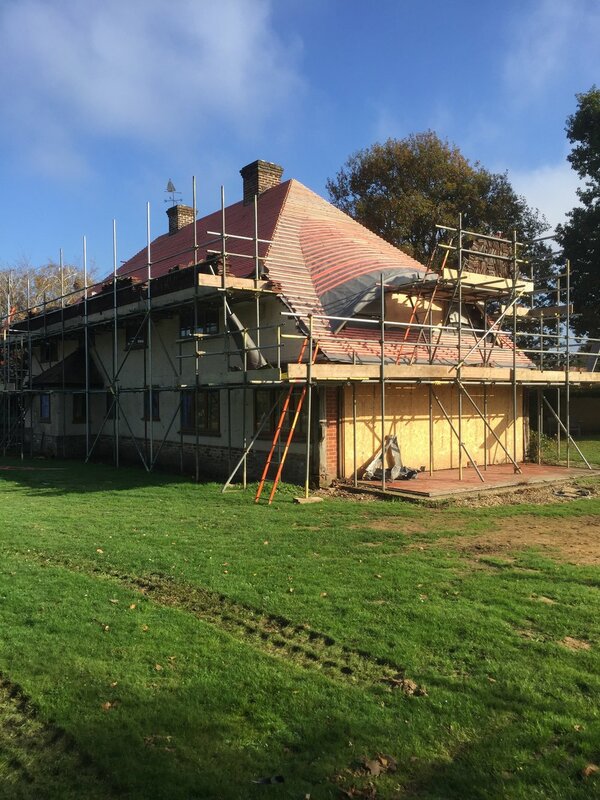 All materials were carefully chosen to be in keeping with the area. Detailed wood panelling on to handcrafted sandstone fireplace. Hard wood conservatory painted to match all external woodwork of the property. New lawn and reworked driveway adds to the aesthetics of the property. Beautifully created outdoor living space for entertaining friends and family. Open living room and kitchen dining area. Polished porcelain tiling throughout ground floor to provide a contemporary and clean aesthetic to the interior living space. Modern wet room with curved detail step and freestanding bath. Wall and floor tiling uses Porcelanosa® grey slate porcelain. View into the wet room, highlighting curved detail step, freestanding bath and mirrored niche. Fully fitted bathroom incorporating porcelain tiling, quadrant shower unit and wall hung basin unit. Kitchen island with ceiling hung Neff® extractor to provide a functional environment with clean, linear styling. 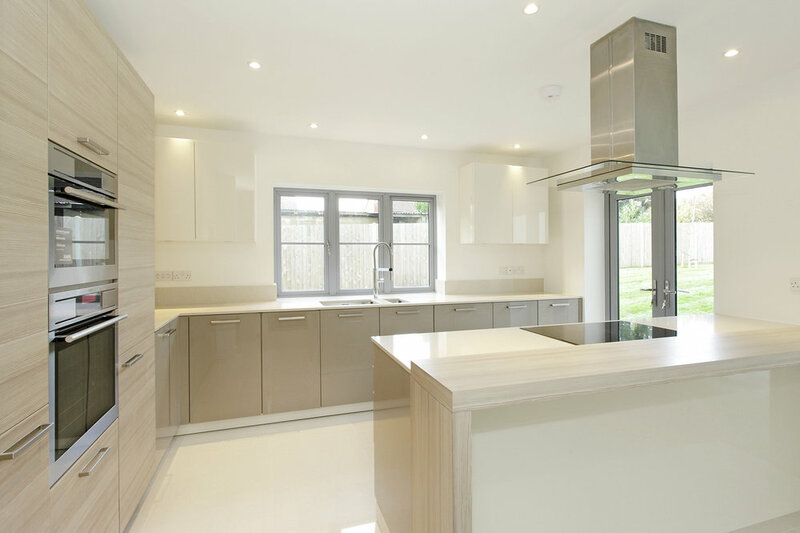 Beautiful handmade kitchen, including Silestone worktops and porcelain tile flooring. Kitchen integrates Neff appliances and instant boil tap. Tongue and groove wall panelling, carefully repaired and decorated in Farrow and Ball paint. Stunning shower room, with porcelain tiles. Featuring a wall-hung double basin unit and wall mounted taps. New, engineered oak flooring complements the staircase. 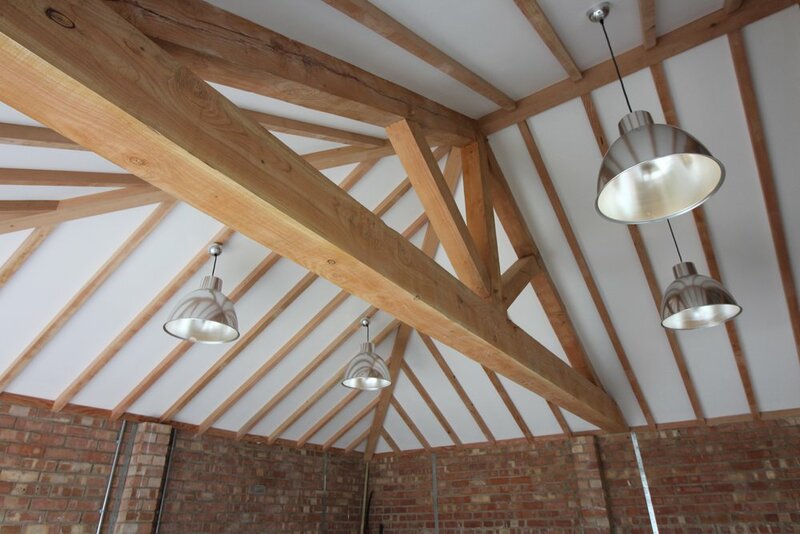 Oak beams and soft paint colours give the downstairs a classic country feel. Bespoke office with tongue and groove panelling, in keeping with the rest of the home. 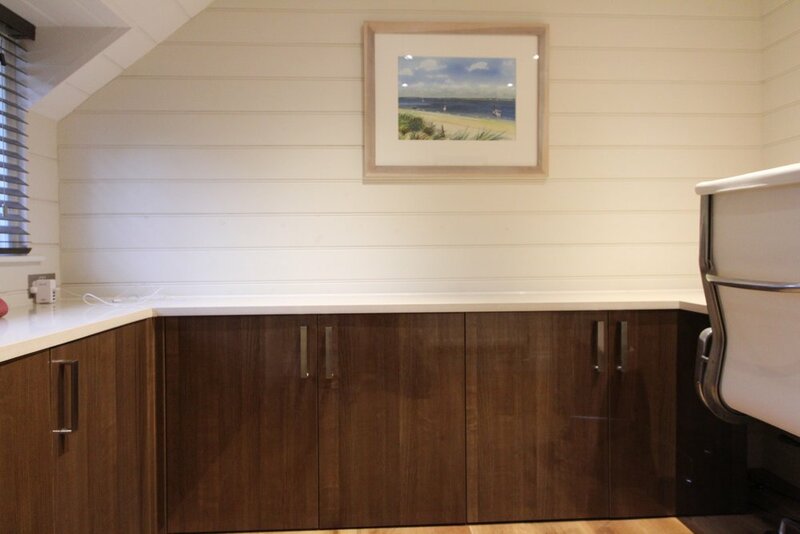 Silestone worktops create a clean workspace over storage cabinets. Full height tongue and groove wall panelling. Bespoke ash staircase white washed to give that beach feel. Solid oak floor covers water feed underfloor heating. Porcelain tiles and Burlington fittings to give that classic wet room look. Insulated wine storage unit, designed to maintain exactly 55 degrees Fahrenheit. Joiner-made oak shelving can hold up to 400 bottles of wine or champagne. 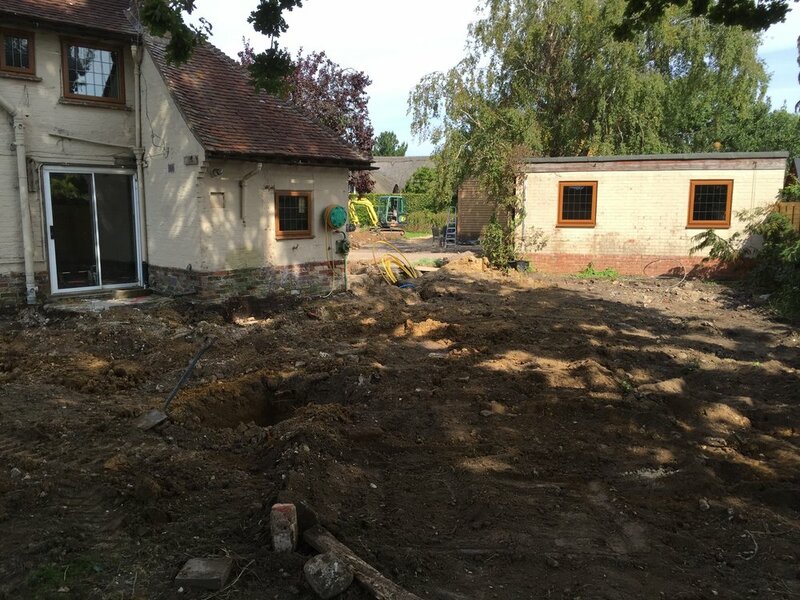 Garages and outbuildings are never an after thought for Tidal Bespoke, but instead considered a key part of any renovation project. This high-end garage refit includes an insulated wine storage unit, meeting the exact requirements of our client. The room is designed to maintain exactly 55 degrees Fahrenheit and the joiner-made oak shelving can hold up to 400 bottles of wine or champagne. A glass door to the unit gives the garage a sense of depth and space, as well as style.